Using the Canadian national standard framework for risk management, this guide is intended to assist local and regional governments (as well as health officials, emergency managers and businesses) in understanding the risks related to climate change and how to manage predicted impacts. The guide provides an overview of climate trends and projections in BC and the local government-planning context. The document focuses primarily on the steps in the risk management process. Briefly summarized, the steps are: getting started; preliminary analysis; risk estimation; risk evaluation; risk controls and adaptation decisions; and implementing and monitoring. The guide stresses the importance of communication and documentation throughout all steps. Carlson, D. (2012). Preparing for climate change: An implementation guide for local governments in British Columbia. Vancouver, BC: West Coast Environmental Law. Conrad, C. T., & Daoust, T. (2008). Community-based monitoring frameworks: Increasing the effectiveness of environmental stewardship. Environmental management, 41(3), 358-366. This article presents an adaptable community-based monitoring (CBM) framework. The investigators used a well-tested conceptual CBM framework developed by the Canadian Community Monitoring Network (CCMN) as a basis from which to work. Conrad, C. C., & Hilchey, K. G. (2011). A review of citizen science and community-based environmental monitoring: issues and opportunities. Environmental monitoring and assessment, 176(1-4), 273-291. Worldwide, decision-makers and nongovernment organizations are increasing their use of citizen volunteers to enhance their ability to monitor and manage natural resources, track species at risk, and conserve protected areas. We reviewed the last 10 years of relevant citizen science literature for areas of consensus, divergence, and knowledge gaps. Dinshaw, A., Fisher, S., McGray, H., Rai, N., & Schaar, J. (2014). Monitoring and evaluation of climate change adaptation: Methodological approaches. OECD Environment Working Papers, No. 74, OECD Publishing, Paris. This paper explores methodological approaches that can be used to monitor and evaluate climate change adaptation initiatives at the projects and programme levels. It examines approaches that have been used in other areas of development practice to see what lessons have been learned that can inform the development of monitoring and evaluation frameworks targeted at adaptation. Fang, S., Da Xu, L., Zhu, Y., Ahati, J., Pei, H., Yan, J., & Liu, Z. (2014). An integrated system for regional environmental monitoring and management based on internet of things. IEEE Trans. Industrial Informatics, 10(2), 1596-1605. This paper introduces a novel IIS that combines Internet of Things (IoT), Cloud Computing, Geoinformatics [remote sensing (RS), geographical information system (GIS), and global positioning system (GPS)], and e-Science for environmental monitoring and management, with a case study on regional climate change and its ecological effects. Fraser, J. & Strand, M. (2011). 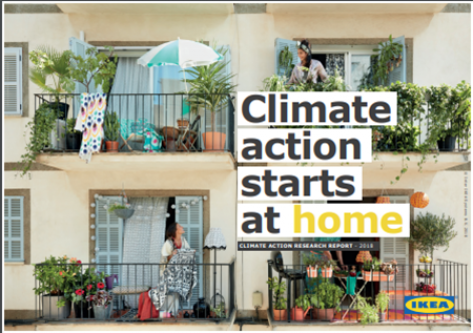 Climate change adaptation for local government: A resource guide. Victoria, BC: Pacific Institute for Climate Solutions. This document was produced for participants in the forum Resilient Communities: Preparing for the Climate Challenge, June 14-15, 2011 in Vancouver. It updates and adds to resources identified on the ReTooling for Climate Change website, funded by Natural Resources Canada and produced by the Fraser Basin Council. The BC Ministry of Environment, Climate Action Secretariat, provided guidance and expertise. The report was coauthored by Jenny Fraser, BC Ministry of Environment, and Matt Strand, who was supported through a Pacific Institute for Climate Solutions grant to Simon Fraser University’s Adapting to Climate Change Team (ACT). Fürst, C., Opdam, P., Inostroza, L., & Luque, S. (2014). Evaluating the role of ecosystem services in participatory land use planning: proposing a balanced score card. Landscape ecology, 29(8), 1435-1446. The objective of this paper is to suggest a standardized scheme and generalizable criteria to assess how successful the application of the ES concept contributed to facilitate participatory planning. Hersperger, A. M., Ioja, C., Steiner, F., & Tudor, C. A. (2015). Comprehensive consideration of conflicts in the land-use planning process: a conceptual contribution. Carpathian Journal of Earth and Environmental Sciences, 10(4), 5-13. An aspiration of land-use planning is to coordinate current and future societal needs while minimizing conflicts. Recently, planning has focused mainly on conflict negotiation, focusing for example on communication and community engagement. However, an understanding of an area’s possibilities for land-use conflicts has the potential to support sound allocation of social and financial resources to prevent or reduce disagreements. We propose a conceptual contribution for the comprehensive consideration of conflicts in land-use planning process, focusing on anticipation and negotiation. Keith, L. (2017). Environmental sampling and analysis: a practical guide. Routledge. McDonald, T. L. (2003). Review of environmental monitoring methods: Survey designs. Environmental monitoring and assessment, 85(3), 277-292. Mercer-Clarke, C.S.L. & Clarke, A.J. (2018). Adaptation Primers. Ottawa, ON: Canadian Society of Landscape Architects and University of Waterloo. Whitelaw, G., Vaughan, H., Craig, B., & Atkinson, D. (2003). Establishing the Canadian community monitoring network. Environmental monitoring and assessment, 88(1-3), 409-418. Community-based ecosystem monitoring activities in Canada are increasing in response to a number of factors including: (i) the needs of decision-makers for timely information on local environmental changes; (ii) limited use of government monitoring data and information by decision makers: (iii) government cuts to monitoring programs; (iv) the increasingly recognized need to include stakeholders in planning and management processes; and (v) the desire of citizens to contribute to environmental protection.